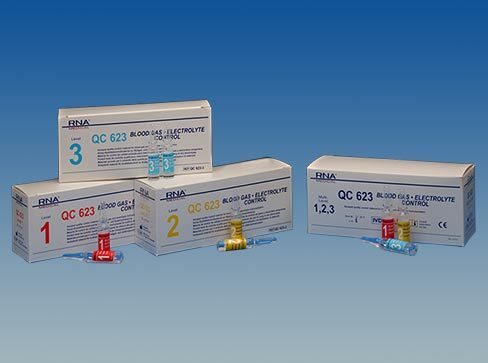 QC 623 is an assayed quality control material for blood gas and electrolyte instrumentation. It is available in four (4) levels for monitoring analyzer performance at varying points within the clinical range. It may be used on multiple test analyzers (such as the Siemens® 850, Radiometer 505, and the Radiometer 600). QC623 is also for use on LifeHealth IRMA TRUpoint® analyzers (levels 1, 2, and 3 only).